It’s been a busy few months at LDeX as we’ve worked to position the business to support our customers’ future requirements. Access to the services of the hyper cloud vendors – Microsoft Azure, AWS and Google Cloud – is becoming a key part of any digital strategy and we want to ensure that our customers can access those services so they can innovate and grow. As a result LDeX has become part of iomart Group plc, one of the country’s leading providers of managed cloud services and a company that is listed on the Alternative Investment Market of the London Stock Exchange (IOM: AIM). This is an important step forward for us. As part of a much larger organisation LDeX has the financial strength, stability and wider expertise to support our customers in the years ahead. LDeX is committed to delivering the level of service that our customers have come to value. Our commitment to reliability, resourcefulness and personability remains and is strengthened because of the ability that iomart gives us to offer a much wider portfolio of cloud services. As Mark Sedgley, Group Sales Manager for LDeX, explains: “We’ve built a reputation as one of the most dependable providers of carrier neutral, premium colocation space in both London and Manchester. Our goal is to offer our clients the ultimate hosting environment for their colocation deployments, underpinned by an impressive portfolio of connectivity services. We have today changed our company branding to reflect this. UK-based data centre thermal software and services specialist firm EkkoSense will demonstrate its innovative software-driven thermal optimisation solutions for critical facilities on stand D1210 at Data Centre World 2018 at Excel, London March 21-22. The world’s first Internet-of-Things (IoT) enabled wireless sensor to provide a local display of measured temperature and relative humidity values. The EkkoSensor wireless display sensor can show temperature profiles over the last hour, 24 hours or week for immediate on-site thermal assessment, and integrates with EkkoSoft Critical 3D software to provide real-time virtual reality visualisation. Real-time tracking of cooling loads with EkkoAir – EkkoAir is the world’s first thermal monitoring solution to track data centre cooling loads in real-time. When combined with EkkoSoft critical thermal modelling, monitoring and visualisation software, EkkoAir provides data centre operators with an intuitive, holistic 3D real-time view of cooling performance across their entire data centre estate – enabling them to reduce thermal risk and save between 20 and 30% of their overall data centre cooling costs. 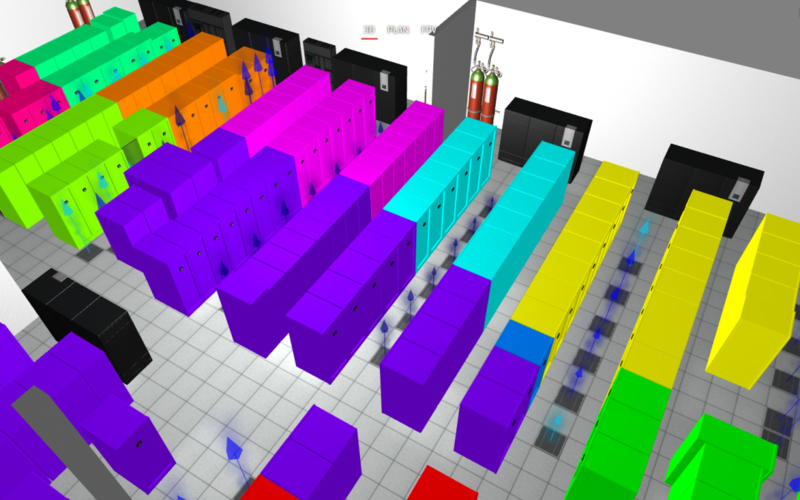 The combination of low-cost wireless IoT sensors and powerful spatial software enable the creation of rack-level detailed maps of a data centre’s real-time cooling and thermal performance. Taking advantage of this network of IoT sensors, EkkoSense will be demonstrating its new ‘Zone of Influence’ functionality at DCW18. By associating specific cooling devices with racks in dedicated ‘Zones of Influence’, EkkoSense is now able to combine its real-time cooling and live airflow data to enable zone-by-zone cooling optimisation that’s far more cost-effective than traditional sensors and control hardware. By collecting thermal data from potentially thousands of wireless sensors, EkkoSense also collects the core machine learning/AI data that is necessary to power next generation real-time decision-making based on proven space, cooling and power algorithms. Available at a cost equivalent to less than 20% that of a traditional data centre cooling unit, the EkkoSense software-driven thermal optimisation approach also provides a platform for the kind of real-time decision-making and scenario planning capabilities that organisations will need to transition towards true AI-managed data centres. 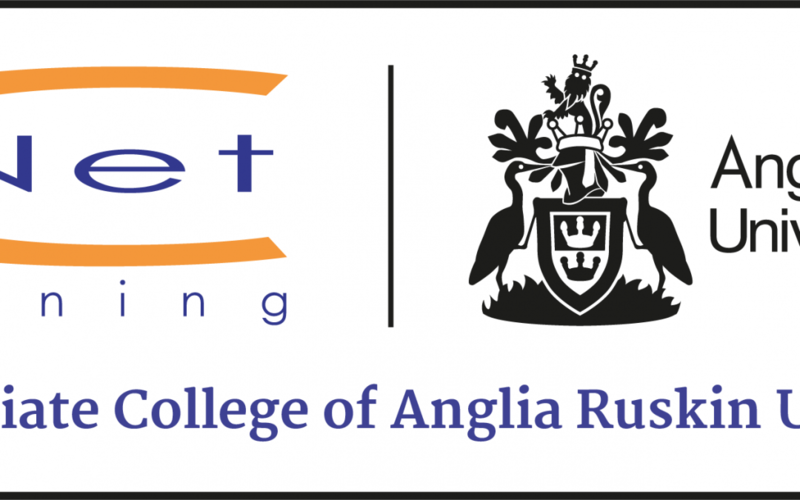 More data centre professionals are taking the opportunity to turn their data centre experience into a master’s degree with the world’s only master’s degree in Data Centre Leadership and Management, delivered by CNet Training, an Associate College of Anglia Ruskin University. Since launching in 2015, impressive numbers have been recorded and are continuing to steadily increase. The master’s degree in Data Centre Leadership and Management is a three-year programme delivered through online distance learning, fully supported by a team of sector experts, who are available through online or telephone communication. The distance learning delivery of the programme means that learners can study at times that are convenient to them, yet they can still easily communicate with their tutors and each other, wherever they are in the world. There is also a chance to participate in a three day ‘bootcamp’, held each year in the historic city of Cambridge – this is an optional activity and a great opportunity to get together with the tutors and fellow learners, make contacts and have fun. The master’s degree is a level seven programme which sits at the top of The Global Digital Infrastructure Education Framework. It is designed in collaboration with the industry and the content is constantly refreshed to ensure it reflects the very latest needs of the industry. It’s a unique programme – at present, no other programme offers data centre professionals this high-level leadership and management education specifically tailored to the data centre sector. The Global Digital Infrastructure Education Framework spans from qualification level three, all of the way up to level seven and is constantly expanding with new programmes. Each programme has been designed to address the skills and knowledge requirements of those working in different areas of the digital infrastructure industry. All programmes flow perfectly from one to another, yet they are of equal value when standing alone. On successful completion, learners receive a prestigious master’s degree in Data Centre Leadership and Management which provides an impressive MA post nominal title at a full graduation ceremony in Cambridge. This October will be another world first for CNet when the first co-hort from 2015 graduate to become the first ever to hold the world’s only master’s degree in Data Centre Leadership and Management. They will be the first group of data centre professionals throughout the world to hold this title, setting themselves apart from the rest. Registration is now open for the next programme which will commence on September 17, 2018. According to the International Data Corporation (IDC) Worldwide Quarterly Server Tracker, vendor revenue in the worldwide server market increased 26.4% year over year to $20.7 billion in the fourth quarter of 2017 (4Q17). The server market continues to gain momentum, as traction for newer Purley and EPYC-based offerings grows. While demand from cloud service providers has propped up overall market performance, other areas of the server market continue to show growth now as well. Worldwide server shipments increased 10.8% year over year to 2.84 million units in 4Q17. Volume server revenue increased by 21.9% to $15.8 billion, while midrange server revenue grew 48.5% to $1.9 billion. High-end systems grew 41.1% to $2.9 billion, driven by IBM’s z14 launch last quarter. IDC expects continued long-term secular declines in high-end system revenue, with short periods of growth related to major platform refreshes. IDC senior research analyst Sanjay Medvitz says, “Hyperscalers remained a central driver of volume demand in the fourth quarter with leaders such as Amazon, Facebook, and Google continuing their data center expansions and updates. HPE/New H3C Group and Dell were statistically tied for first in the worldwide server market with 18.4%, and 17.5% market shares respectively in 4Q17. HPE/New H3C Group revenue increased 10.1% year over year to $3.8 billion, while Dell Inc. increased 39.9% year over year to $3.6 billion. HPE’s share and year-over-year growth rate include revenues from the H3C joint venture in China that began in May of 2016, thus, the reported HPE/New H3C Group combines server revenue for both companies globally. IBM captured the third market position at 13.0% share with revenue growing 50.3% year over year to $2.7 billion. Lenovo and Cisco were statistically tied for the fourth position. Lenovo had 5.3% share, with revenue increasing 15.1% to $1.1 billion and Cisco had 5.1% share with revenue increasing 14.8% to $1.1 billion. The ODM Direct group of vendors grew revenue by 48.1% to $4.2 billion. Dell Inc. led the server market in terms of unit share at 20.5%. Hyperscale operator capex boomed in the last quarter of 2017, witnessing a 19% growth over 2016. This comes from new data from Synergy Research Group which shows that the capex of hyperscale operators totalled $22 billion in the quarter and reached almost $75 billion for the full year. Much of that hyperscale capex goes towards building and expanding huge data centers, which have now grown in number to 400. The top five spenders are Google, Microsoft, Amazon, Apple and Facebook, which in aggregate account for over 70% of Q4 hyperscale capex. On average during 2017, the top five of Google, Amazon, Microsoft, Apple and Facebook spent well over $13 billion per quarter combined. The report also puts an emphasis on Amazon and Facebook as having particularly strong capex growth in 2017. Beyond the top five, the report names the hyperscale market’s other major spenders as Alibaba, IBM, Oracle, SAP and Tencent. Among these five, Alibaba capex more than doubled in 2017, while growth at both Oracle and SAP was also above average. Other notables outside of the top ten include Baidu, eBay, JD.com, NTT, PayPal, Salesforce, Yahoo Japan and Yahoo/Oath. Across all hyperscale operators, 2017 capex equated to just over 7% of total revenues, although the ratio varies greatly by company, from a low of 2% to a high of 17% depending on the nature of the business. Synergy Research Group chief analyst and research director John Dinsdale says over the last four years the firm has seen many companies try and fail to compete with the leading cloud providers. Why are on-premise data centers a thing of the past? In the data center industry, the only thing that’s certain is change. And this change, like much of the world, is being driven by data. According to IDC, the global datasphere will grow to a whopping 163 zettabytes by 2025. There are a number of ways of putting this into perspective. (the world’s tallest building at 828 meters high). With more data, from more sources, anticipated over the coming years – the heat is on for operators and businesses to “handle” the growing data deluge as effectively and safely as possible. In a bid to drive competitive edge, gain control of their costs, and remove themselves from the ever-growing task of data storage, we’re increasingly seeing large enterprises and medium-sized businesses move away from on-premise data centres and have increased reliance on third-party providers. For many, this seems to be the primary driver. Indeed, cloud services today enable IT departments to do a lot more than simply store data efficiently. Most of us understand that data centers consume massive amounts of power. The good news here is that rather than use more and more power (and create more harmful emissions) to run on-premise data centers, enterprises are shifting workloads into third-party facilities that are investing heavily into green power and next-generation cooling technologies. Cooling technologies aren’t the only aspect of data center operations that are changing. In fact, AI and machine learning are quickly becoming a requirement in order to compute larger amounts of data and make faster, smarter decisions. Rather than try to keep up with the rapid pace of innovation (and the capital investment that goes along with it), enterprises are choosing to rely on companies that specialize exclusively in data center operations. For many, the perceived risk of data loss or damage is becoming too much to manage. At this point, everyone has seen the damage that incidents like data breaches and downtime can cause a business. As cyber attacks are getting more sophisticated and common, and data is becoming more abundant and precious, many organizations see this as reason enough to colocate in a third party facility with a reputation for security and reliability. Last, but certainly not least, data centers can help users get to grips with compliance, often having dedicated and comprehensive compliance programs to address individual needs. With compliance regularly evolving, data centers have fast become a reliable and safe way to meet government and trade body regulations, rather than businesses needing to commit a dedicated resource to the task.